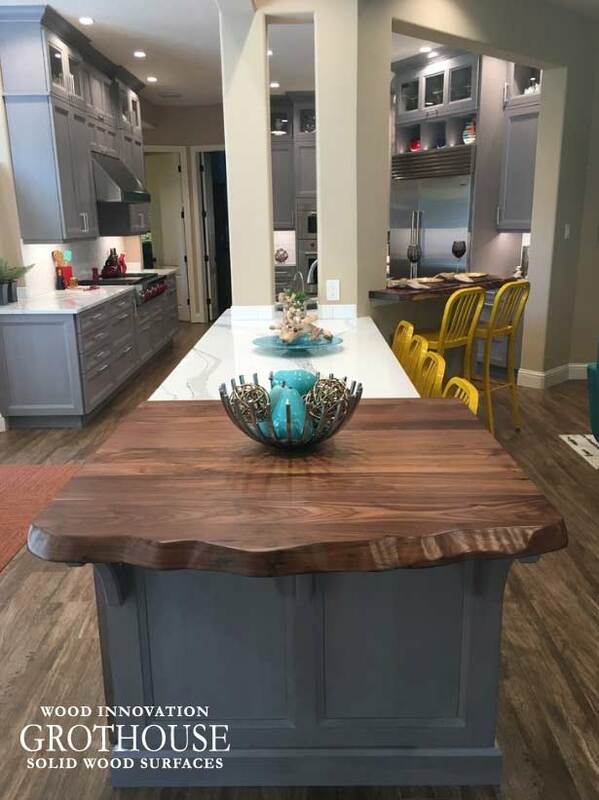 Size: 45 1/8+/-" x 43 1/2"
Countertop Options: This countertop includes a faux live edge to mimic a real live edge countertop. 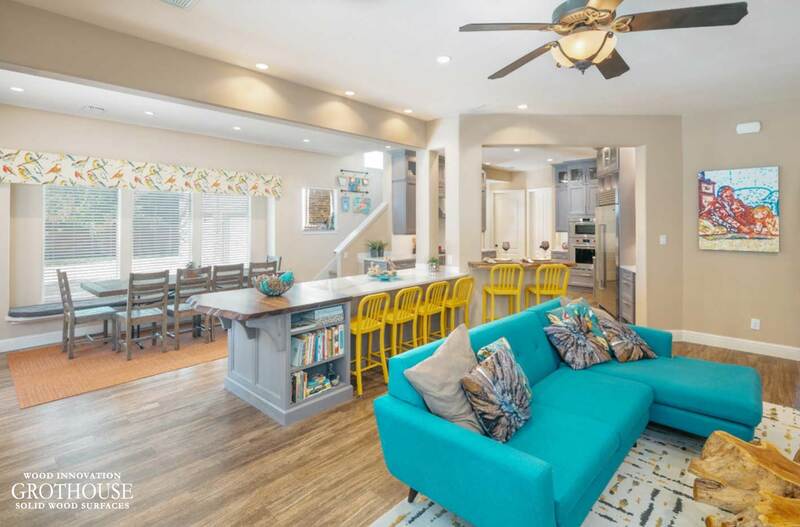 “We removed three walls to open this kitchen up to the great room and breakfast area so the family and guests could visit while meals are being prepared. 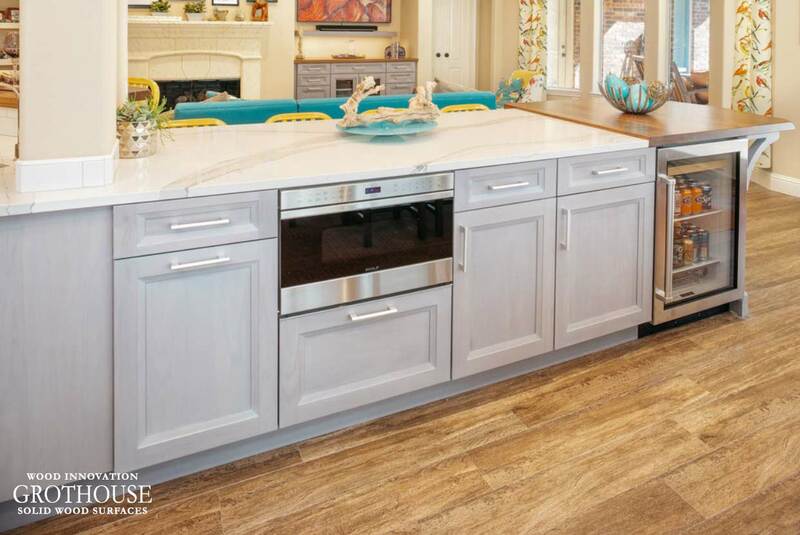 The custom cabinetry, designed by Bay Area Kitchens, was meticulously hand crafted to our exact specifications by Wood-Mode Custom Cabinetry in Kreamer, PA. A medium gray stain was applied to the solid walnut 1" thick doors and drawer fronts. 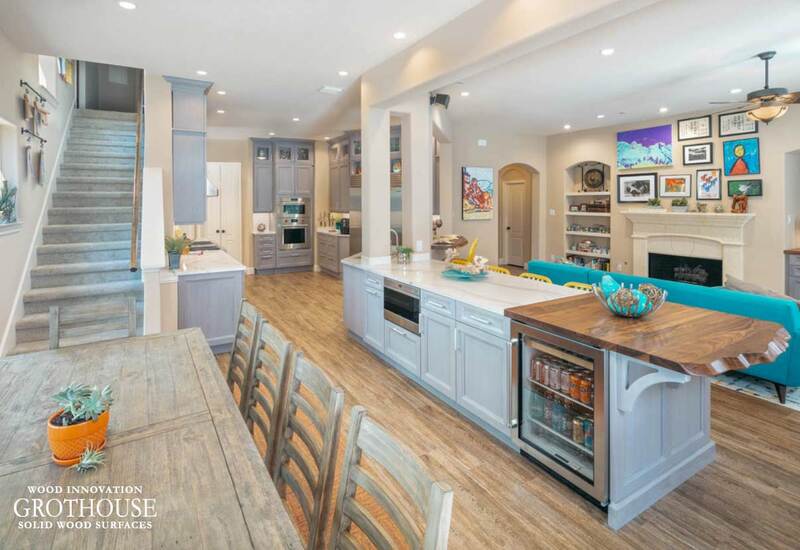 Topping off the custom cabinetry are Cambria quartz countertops, plus two solid walnut countertops with "live" edges by Grothouse.” – Bay Area Kitchens. Professional photos by Benjamin Hill Photography, others by Randy Godeau of Bay Area Kitchens. Read the designers blog here.